With depressing regularity, the Oregon State Police issues press releases reporting on traffic crashes in which a vehicle “crossed the center line” and collided head-on with one coming the other way. Too often the outcome is that one or more persons are killed and others seriously hurt. 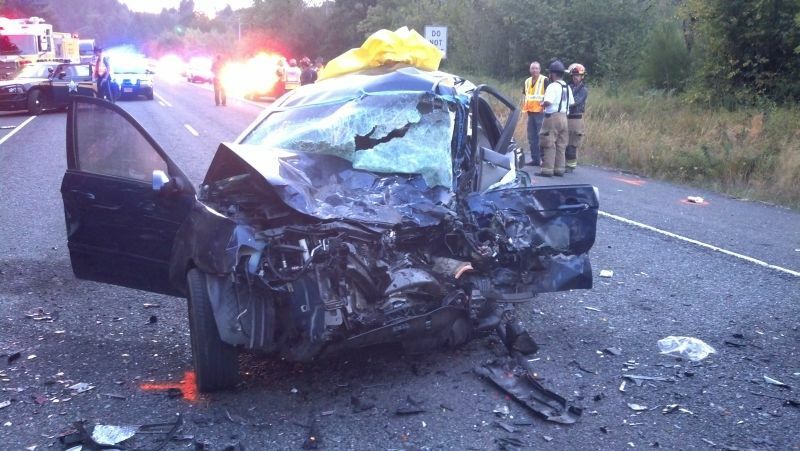 The OSP says this happened again on Aug. 13, when a Kia Spectra driven by a 27-year-old Salem man crossed the center line on Highway 22 near Stayton and hit a Dodge Durango head-on. The Spectra driver and his 20-year-old passenger were killed. The two people in the Durango, 18 and 19 years old, were seriously hurt. Crossing the center line is easy to do when you’re not paying attention. So when we’re looking at on-coming traffic on an undivided highway, we have to earnestly hope that every one of those drivers heading our way is fully in command of his vehicle, not distracted or impaired in any way by alcohol, drugs or lack of sleep, and intent on staying on his side of the line. From Greg Storms: You didn’t mention being distracted by cell phones or the myriad of other electronic devices that surround us. I really like your blog. I have it right next to the Democrat Herald on my favorites list. It’s almost like you never left the newspaper.